Team Lorenzo Johnson member Thomas Dichter visiting Lorenzo at SCI Mahanoy. Lorenzo is still waiting on a court date for an evidentiary hearing in which a judge will finally review his evidence of innocence. 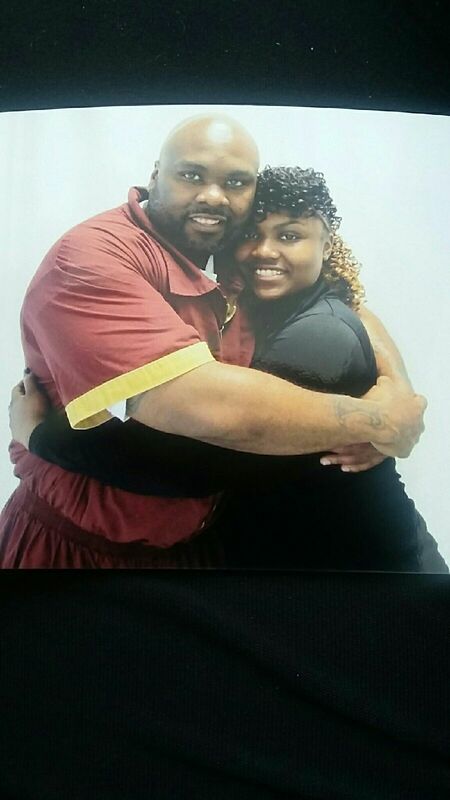 It’s been two years and counting since he submitted his last Post-Conviction Relief Act (PCRA) petition supplement. Posted in Uncategorized on November 28, 2016 by Brooke Simone. The innocent do not want pity. We want you to align yourself with us in our pursuit of justice. We are, and have been, paying a debt that does not belong to us. Unfortunately, some of us have paid with our lives for being innocent. Read the whole piece on the Huffington Post! Posted in Uncategorized on November 3, 2016 by Brooke Simone. Posted in Uncategorized on October 29, 2016 by Brooke Simone. Police officers are increasingly being required to wear body cameras so that their use of force can be documented and judged. But what about the action that takes place behind the scenes — in police stations and prosecutors’ offices? It’s time to think about what measures can be put in place to hold all law enforcement accountable. As an innocent prisoner and avid writer on wrongful convictions, I say it’s time not to only present solutions, but enforce them, too. Posted in Uncategorized on September 30, 2016 by Brooke Simone. Let me start by saying I can’t thank everyone enough, in the states and out of the country for your continued support of me and my innocence. I’m in good health mentally as well as physically. My wife has made a full recovery from her surgery. She’s back on the frontline assisting me in our pursuit of Justice. I’m patiently awaiting the exact date that my Evidentiary Hearing is taking place. It was scheduled to take place for early fall with the judge making his decision this year. After 20 years of being innocent in prison, I’m finally getting the opportunity to present my Innocence, Police/Prosecution Misconduct and Ineffective Assistance Counsel claims. It’s been a long time and I wish this pain on no one. There has been two huge wins for the innocent here in Pennsylvania. Innocent Death Row Prisoner James Dennis and Lifer Anthony Wright. What led to Mr. Dennis New Trial and Mr. Wright Acquittal, Grave Prosecution Misconduct and DNA. 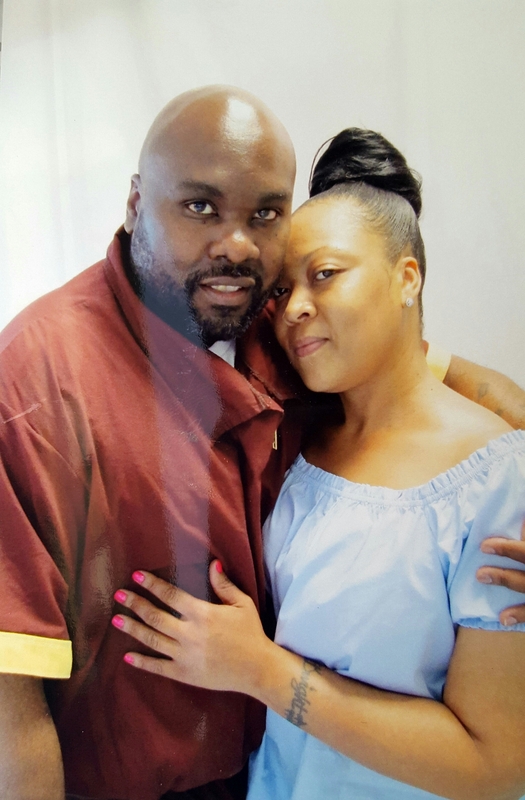 They each have spent 25 years in prison, while their prosecutors knew they were innocent all along…..
It’s sad that this is a common occurrence in our criminal justice system. That’s why it’s imperative we continue we continue to stand by the Innocent and continue to raise awareness. Without the support of attorneys, family, friends and supporters our cases will continue to be swept under the rug. I would like to thank everyone for your support, even those who are supporting other innocent prisoners–it’s the same fight. For those who can make a contribution please do so, it’s needed for TeamFreeLorenzoJohnson to stay afloat. 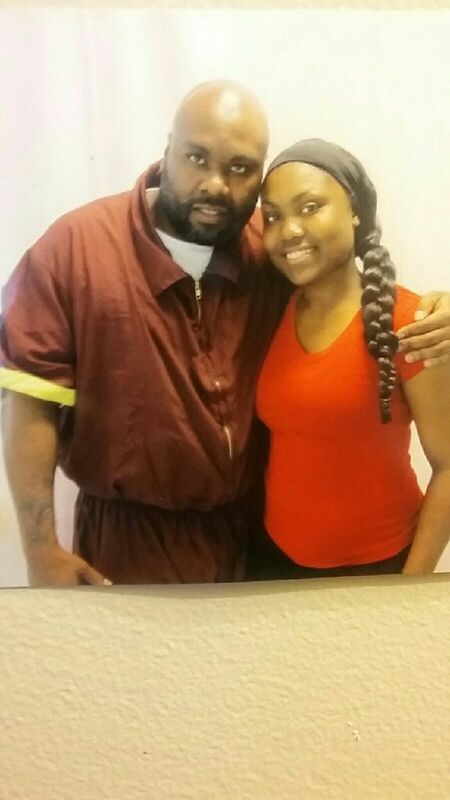 For those who would like to email directly on my tablet I own here (prison), you must go to connectnetwork.com. If you have a problem, go to www.gtl.net/padoc for step-by-step instructions. I look forward to hearing from you. Lorenzo and Tazza during a visit this summer. Erica from Iowa is rocking the Free Lorenzo Johnson t-shirt! Posted in Uncategorized on September 18, 2016 by Brooke Simone. Read the whole post here on the Huffington Post. Posted in Uncategorized on August 29, 2016 by Brooke Simone. I hope everyone and your families are well physically as well as mentally. Before I go on, I would like to ask everyone to pardon my delay on this long overdue update on my status. My wife (Tazza) was hospitalized and had to have an emergency surgery. So I had to place a lot of things on hold until her health got better. She is now 90% back to her normal self and mobile once again. Being she is the go-between person for a lot of what I do, I had to make sure she was okay before I took care of everything else. She is now on her way to a full recovery. Now as for myself, all of the hard work to vindicate myself of a crime that has stolen 20 years of my life–is finally starting to pay off. My court dates will begin in early fall. When I get the exact dates, I will share them. I thank everyone for your continued support, and for those who share my story through your networks–Please continue. I am still fighting hard to prove my innocence once and for all, at the same time educate society on wrongful convictions. The time have come for my Legal Team to do the fighting in the courtroom. I don’t only trust them representing me, I trust them with my Life– That is what’s literally at stake. They have done a wonderful job bringing my innocence to the forefront. Now it will be argued infront of a judge. I like my chances and I’m extremely confident the end is not only near but upon us. For everyone voting for the next president. I pray that you will take in consideration who will help make a change, your personal views, and not just your loyalty to the party you belong to. This also goes for voting for public officials in our communities who enforce the law and constitution regarding Race Equality in our Criminal Justice System. The time for change is NOW. Please feel free to share and publish my articles in your social networks. I had to send my tablet out for repair (You know they sell us defected appliances), I just received it back after a month. So everyone who have opened accounts through connectnetwork.com to send me emails directly, I will answer more quickly now that I can use my tablet instead of the prison Kiosk Machines. For those who would like to contribute funds (it’s needed), you can send it through the website, Jpay.com code: (Lorenzo Johnson #DF1036, PA DOC), or Lorenzo Johnson, P.O. BOX 1008, Yonkers, NY 10702. Thanks in advance for everyone’s continued support. Please stay involved.The end is NEAR. Posted in Uncategorized on August 9, 2016 by Brooke Simone. In it, he discusses the restrictions that innocent prisoners face in their attempts to appeal convictions and argue their cases. He writes: “Sometimes prosecutors withhold exculpatory evidence of a defendant’s innocence, and don’t turn it over until they are forced to.” Other times, defense attorneys fail to exercise due diligence. Be sure to read the whole article online here. Posted in Uncategorized on July 12, 2016 by Brooke Simone. Exactly four years ago today, I left the comforts of my wife and family–to enter a nightmare for the second time. I drove from my residence in Yonkers, New York with one of my best friends Jeffrey Deskovic to SCI CAMP HILL in Pennsylvania, to turn myself into a Natural Life Sentence as an innocent man. For a crime they knew I wasn’t guilty of. I can’t explain the constant pain that my family and I endure on the daily basis. This is a pain I don’t wish on anyone, not even the people who are responsible for me spending 20 years in prison for a crime I’m innocent of. To my wife, you play MANY roles in my life, such as my partner, best friend and #1 supporter. You’re the best. As for my kids, I miss and love you dearly. My family and friends who are actively involved in my fight, I thank you from the bottom of my heart. My lead attorney Michael, a man of substance who believed in me and my innocence from day one. You know exactly where we stand. Jeffrey Deskovic, who is like a brother to me, your support of my and my innocence are well documented. 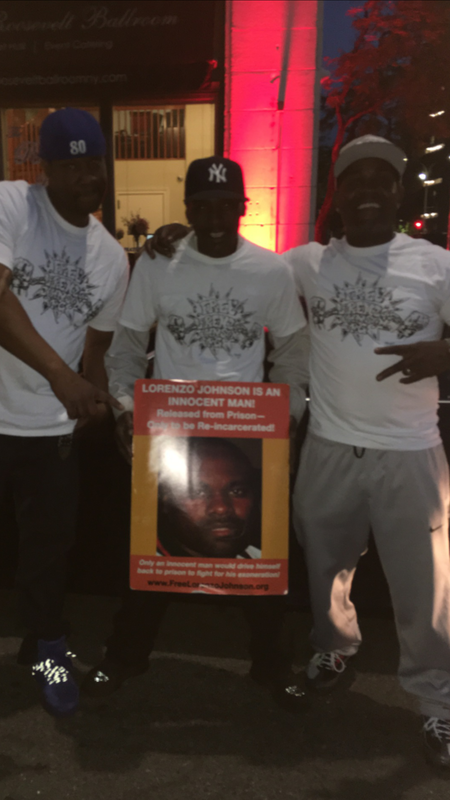 Team Free Lorenzo Johnson, thanks so much for bridging the gap to me and society-so I can continue to educate society on my in no innocence and the human being that I am. In these last four years due to my website, people in ALL 50 States and 35 different Countries have signed my Freedom Petition after reading and researching my injustice. To my supporters, I would like to thank all of you. I encourage you to stay involved. The ball is official rolling in regards to my pending appeal. As an Innocent man, I’m not looking for leniency, sympathy or a break-because I’m not guilty. I’m looking for justice and my immediate release. Anything less than that is an continued injustice. The prosecution can now do what’s right, and right my wrong that have lasted 20 years and counting. I will be going to court very soon. I have a New judge that have been fare. I see the end of this nightmare in close sight. For me to say that this past four years have been anything less than HELL–would be an outright lie and I would be a thief of the truth. The toll that this have taken on my family and me is truly intolerable in very aspect. I’m one of MANY who is innocent and refuse to be muzzled or silenced–to the crime that has been committed against me for being innocent. I’m okay mentally and physically. As I await justice, I’m still writing my articles on injustice and wrongful convictions for various publications, most notably the Huffington Post. For those who have their own social networks, please feel free to share/reprint my articles. For those who can donate to help with my wife and family regular commute from New York to Pennsylvania to visit me and Etc., we highly appreciate it. For those faithful writers who take time out of your busy day to reach out to me, Thanks. Your words of encouragement to keep fighting gives me energy. For those who are reading about my injustice for the first time, welcome to the struggle for justice. I remember when I got the phone call from Lorenzo saying that the US Supreme Court had not only agreed to hear the Pennsylvania Attorney General’s appeal, but that they’d reinstated his conviction. It was a very surreal moment. I almost couldn’t believe my own ears. Having a conviction reinstated after being released is every exoneree’s nightmare, and being so close to Lorenzo, I reacted very strongly. I remember the feeling of powerlessness. Then, Lorenzo called on me to do one of the most difficult things I’ve ever had to do in my life – drive him back to prison. Though we tried to reach out to the media and politicians to intervene, hoping for a miracle, we couldn’t stop the judge’s order from being issued. I picked him up around 5:30 AM in a parking lot in Yonkers. He came outside, and I could see the disturbed look on his face. We both started crying, even though we were grown men. Neither of us could believe that such an injustice had taken place, or that we were really going to do this: drive him back to prison for a crime he was clearly innocent of. Every ounce of me wanted him to run. But clearing his name was paramount for him, and that path dictated that he not run away. We took turns driving back to the prison in Pennsylvania. Our heads were spinning. At times we made small talk because reality was too painful to keep at the forefront of our minds. We thought about the absurdity of what we were doing. We tried to buoy our spirits and tell each other that this was all only a temporary setback. Despite our own horrible experiences with the criminal justice system, we were both a little naïve. I thought that this would be finished within a few months – that an investigation could be completed quickly and Lorenzo would be back out again soon. I couldn’t imagine that he would still be in prison four years later. At the same time, Lorenzo was fielding a lot of phone calls. People were calling him and he had to explain what was going on. In the last hour of the trip, he focused on making, rather than receiving, calls. He was saying his goodbyes to people who were important to him. I think that made the last leg of his difficult journey more difficult, because everybody he talked to said that if it were them, then they would run. We had a final meal on the outside. 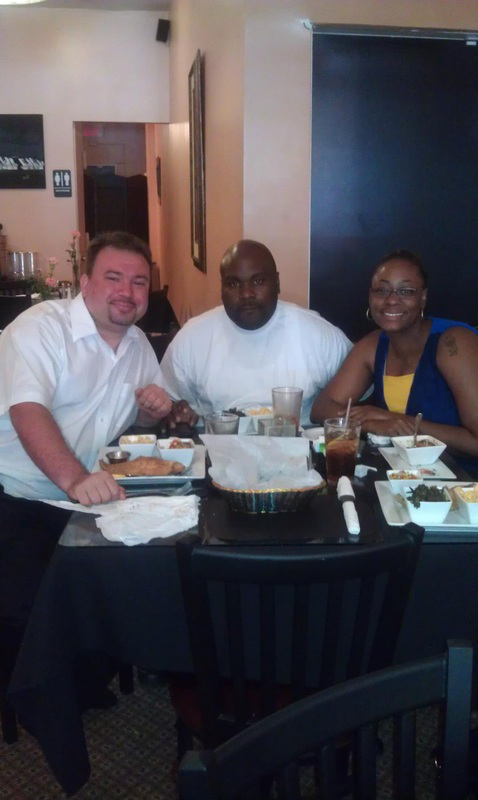 We were joined by La Tasha Williams, who is an ardent supporter of Lorenzo’s. We did the best we could in a terrible situation. We tried to enjoy the meal. We took photographs. The meal seemed like a weird parallel to the Last Supper. Lorenzo chose to drive the last five minutes of the trip. I told him he was so much stronger than I could ever be. I couldn’t have done what he was doing. He got out of the car and went over to where the COs were waiting for him. I saw them put him in handcuffs and bring him inside the building. As I pulled out of the parking lot, I thought about how useless the money I’d given him for commissary seemed in the overall scheme of things. I left the prison grounds and was on a public road right outside the prison. I could feel his absence. I had to stop the car to get my emotions together for about ten minutes. In hindsight, it just seems so clear to me—as clear as the Southern sky—that only an innocent man would have done what Lorenzo did. Posted in Uncategorized on June 14, 2016 by Brooke Simone.